A hunter’s first elk hunt in Nevada is more than memorable—it’s a defining moment. For those who have not grown up around elk, these animals represent the next level of adventure and a new world of possibilities. Nevada has some of the best elk hunting in the country. If you haven’t made it out to Nevada yet, don’t worry—you’re not too late. Most people visiting Nevada are unaware of the variety and quality of elk habitat available in the Silver State. In fact, the takeoff and landing approach for commercial flights at McCarran International Airport in Las Vegas takes many passengers directly over Nevada’s southern-most elk herd in the Spring Mountains—only 20 miles northwest of the Strip! If you grew up hunting elk, you know that there are natural factors essential to success in hunting the species. Each area you hunt brings unique logistical and environmental challenges to consider and Nevada is no exception. When trying to get your hands around elk and the opportunities to hunt them in Nevada, a good starting point is the Nevada Department of Wildlife’s annual Big Game Status and Trend Report. The Status Report tells the user where to find elk, describes the health and productivity of the various herds in the state, an overview of past year’s hunt success and quality metrics, and the various environmental conditions that could affect your experience during future hunts. If you’re looking for an opportunity to hunt elk in Nevada, you’ll have to enter the Nevada Big Game Draw. Opportunities are not always equal, but a general misunderstanding of the draw system keeps many people from applying for a truly unique opportunity to chase elk in Nevada. Many states incentivize applying year-after-year through preference point system and allocating a large portion of their tags to the highest point holders. Nevada’s draw system is the best of both worlds. Nevada awards bonus points for unsuccessful applications, improving your chances for future years. Do you want to hunt sooner rather than later? Do you want to experience some truly unique elk country? 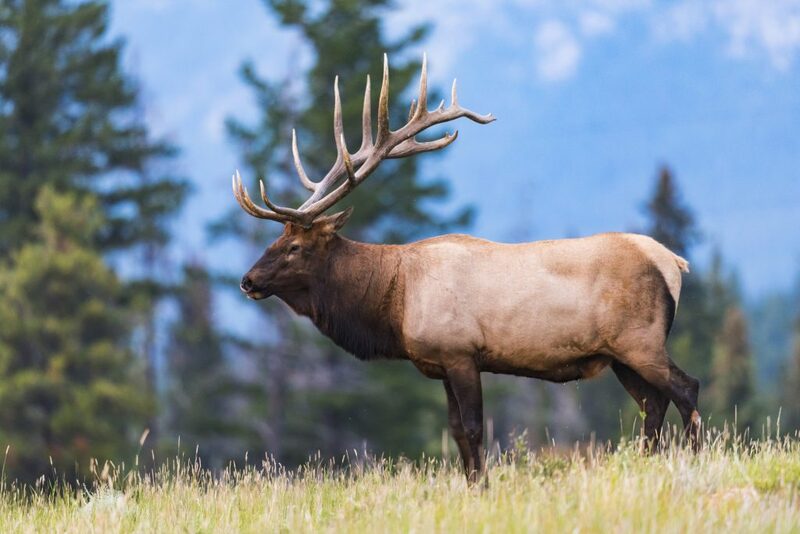 Are you willing to wait to chase some of the biggest, baddest bull elks in North America? Nevada offers a little something for all preferences. Some hunters limit their application to hunts only occurring in White Pine County, an area widely regarded as one of the top destinations for Boone and Crockett elk. Other hunters load their applications with the easiest draw hunts, ensuring they have the highest chance to draw a tag. Other hunters prefer to choose their units based on particular destinations, regardless of quality or draw odds. Once you’ve established expectations for your elk hunt, use Nevada’s Top Ten Hunt Resources to guide the choices on your application. Consider the past five years’ worth of available data to build an accurate picture. A common misconception is that elk hunting is always out of reach if you are unable to draw a bull tag. Elk hunting opportunities exist across multiple weapon classes and sexes—including cow tags. Two-thirds of the rifle cow tags issued to non-residents during the 2018 draw were awarded to applicants with 0 or 1 bonus point. If you’re planning your first elk hunt, a cow hunt in Nevada provides great exposure to elk hunting with less pressure than the pursuit of bulls and you have a realistic chance to be doing it this fall! 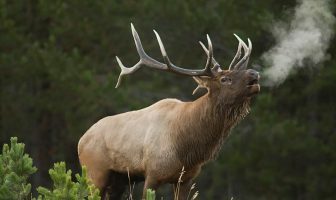 Elk management is largely guided through the statewide 1997 Elk Management Plan formally adopted by the Nevada Board of Wildlife Commissioners. Nevada achieves population goals of elk management plans by harvesting cows and maintaining bull quality. 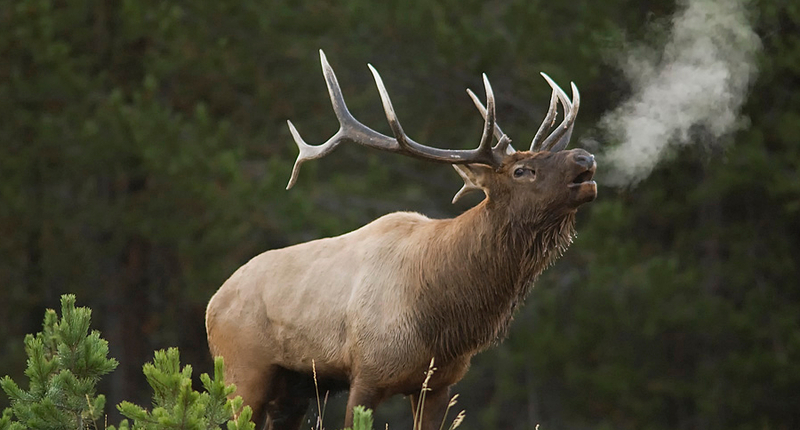 Nevada has a storied history of providing quality elk hunting experiences. Bull hunts in Nevada offer exceptional quality with low quotas through management for older-age classes. Predation a non-issue for elk in Nevada. The state carefully manages the mountain lion population and there are no wolves. Hunting elk is a logistical chess match, both in the field and in the planning process. The beautiful part is that the way you plan your elk hunt is entirely up to you. Some people prepare for adrenaline-charged, highly competitive hunts in the heat of the rut to chase branch-antlered bulls. Others enjoy the challenge of hunting solitary bulls at long range with rifles during the post-rut. Regardless of preference, a seasoned elk hunter knows to build his or her strategy around a multitude of factors. An elk can thrive in various environments and small pockets of space. Natural elements that hold elk in their habitat in August and September may not do so in the later rifle seasons of October and November. 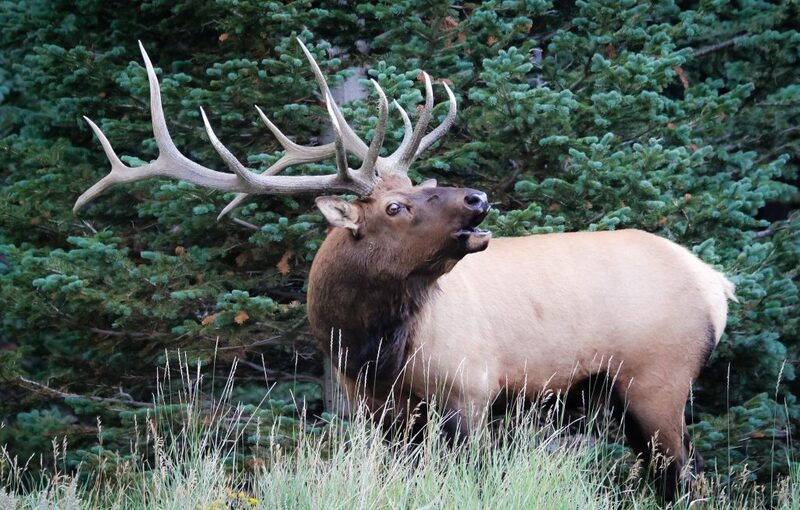 Critical factors for elk include food, water, adequate cover and an isolated environment. Come up with an organized game plan for your hunt. Consider factors such as food, water, cover and isolation when you are applying for your units. Incorporate data from population status, hunting pressure, draw rate, success rate, and antler metrics. In Nevada, the opportunity to hunt world-class elk exists in part because of the careful management of both habitat and species. The application period runs for about a month (from mid-March with the deadline in April). Identify your ideal hunting scenario by reviewing the hunting opportunities at hand and consider the options that best fit you and your abilities. Apply for the Nevada Big Game Draw.